A well-appointed showhome is a wonderful place to spend time and an important part of the buying process because it gives potential buyers the chance to get an idea of what their new home could be like. Visitors also love seeing how a house looks after interior designers have worked their magic, and more often than not, come away with style ideas they’d like to feature in their own homes. In Elgin, there’s a Springfield showhome that’s been admired by many as it is beautifully decorated from top to bottom. It’s now for sale and with it comes a chance to buy the stylish furniture and accessories that have attracted compliments. 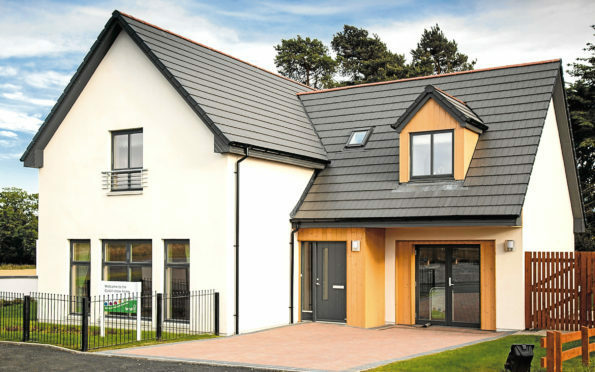 The Culbin house type – a detached home with a sunroom and integrated garage – is at Number One Culzean Road, the entrance to Springfield Properties’ Duncansfield development, which was completed last year and sits on the outskirts of Elgin bordering open countryside. There to show us around the house, which is tastefully dressed and decorated by Signature Interiors, was Ryan Denoon, 25, choices co-ordinator for Springfield. 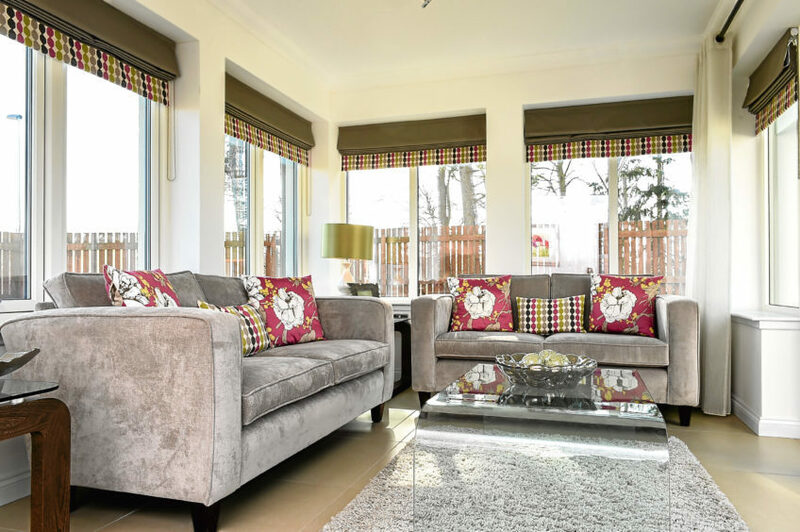 “The reaction from those visiting the showhome is always the same: they love it, while the Culbin house type has proved very popular with buyers. Visitors are always impressed by the size of the rooms and the space on offer here. If the description of the house sounds familiar, don’t be surprised. Previously, a local radio station spent a week here hosting live breakfast shows from the showhome kitchen while live music was served in the lounge. For those in the market for a generous family home that’s in walk-in condition, this house is perfect. The accommodation begins with a large entrance vestibule that leads to the main hall, from where there is access to the lounge, dining room, the open-plan dining kitchen and a well-appointed shower room and upper floor. Neutral walls teamed with white woodwork and a thick, mushroom-coloured carpet, give a clean, fresh look throughout, while numerous mirrors, lamps and contemporary furniture add a touch of glamour. Rooms of note include a very large lounge that has almost floor-to-ceiling windows on one wall which let natural light flood the room. Nice touches here include having TV points on two walls, which makes finding the ideal spot to site the telly much easier. 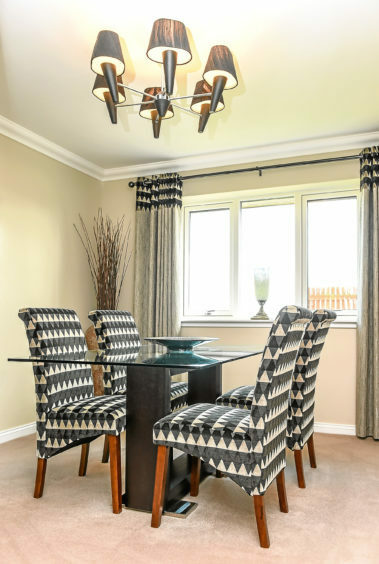 The dining room is perfect for formal dining and large enough to accommodate a good-sized table and additional furniture, while the open-plan dining kitchen is a lovely, bright room, ideal for casual dining. The kitchen is fitted with driftwood-style units teamed with dark worktops which add a sophisticated air. Well appointed, it comes complete with a built-in AEC microwave, Zanussi fridge/freezer, dishwasher, electric oven, gas hob and extractor fan. Adjacent to the kitchen is a handy utility room, complete with washing machine, and from here there’s direct access to both the back garden and the garage, which is currently kitted out as a marketing suite but will be converted to a garage before the new owners move in. The house also benefits from a superb sun room attached to the kitchen-dining room. Normally an optional extra, it’s included in the asking price, which is fixed at £317,950. Overlooking the sunny back garden, which has already been turfed and has established plants, the sun room is the perfect place to relax and enjoy the woodland views at the back of the house. 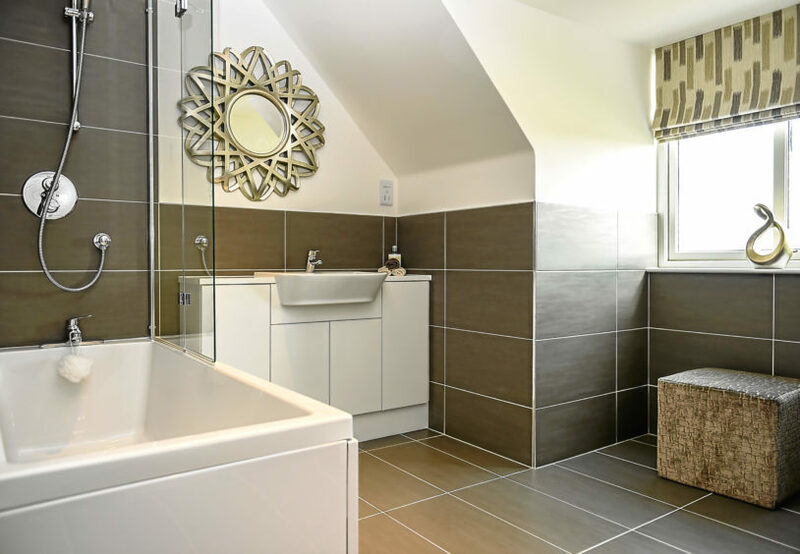 Moving upstairs, there’s an impressive and bright gallery landing which gives access to all four bedrooms and a nicely appointed family bathroom with white suite and furniture teamed with Koshi contemporary tiling. 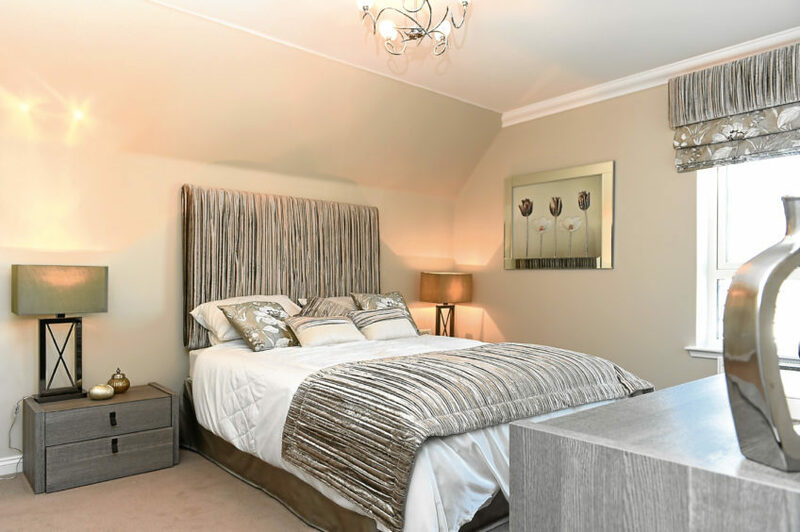 The master bedroom, overlooking the front garden, boasts a smart en suite shower room and an enormous walk-in wardrobe that will thrill fashionistas as it has a huge amount of storage space. 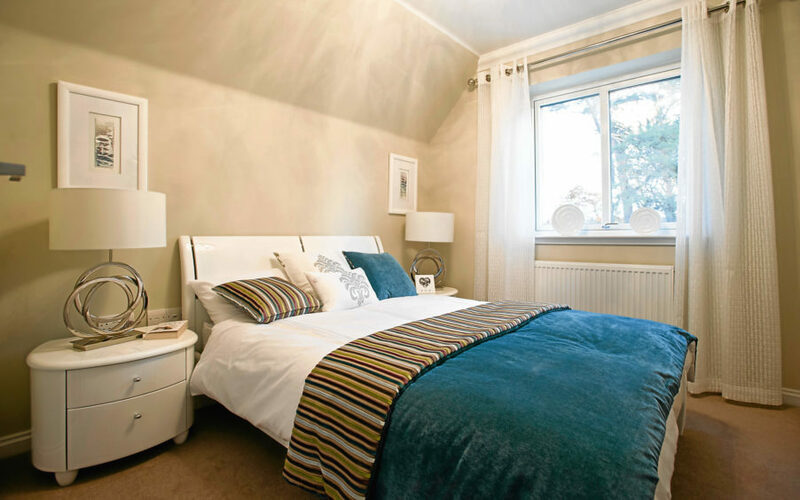 Bedroom two is equally large and also benefits from a very large walk-in wardrobe, which perhaps could be transformed into an en suite shower room at a later date. Bedrooms three and four are both double rooms and each comes with built-in storage. Outside, there are established gardens, including a fully-enclosed back garden, and a block paved driveway. 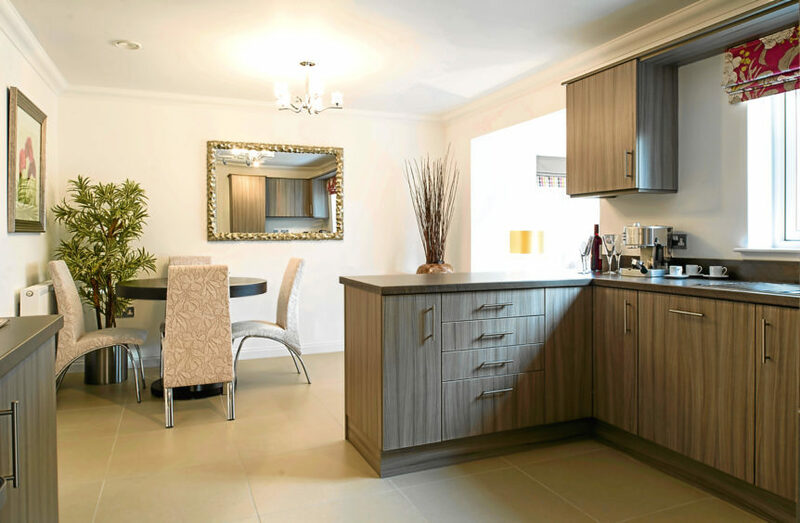 The price includes all the carpets and floor coverings, light fittings and stylish window dressings. Potential buyers can ask about adding furniture to the sale of this home. 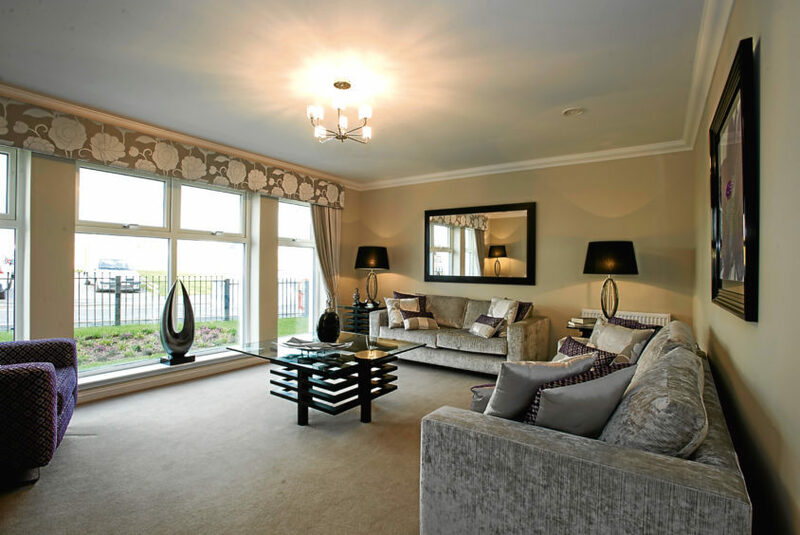 The showhome is open for viewings and enquiries from Thursday to Monday, noon to 5pm. Contact sales executive Gill Evans via e-mail at gill.evans@springfield.co.uk or on 01343 320004.